Mr David Litt, responsible for legal of our foundation visited Morioka Legal Affairs Bureau and completed the registration of our foundation’s establishment. 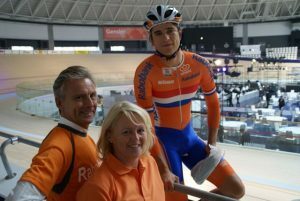 Mr Sato and Ms Fukuda from Japan Netherlands Society accompanied Mr Litt. 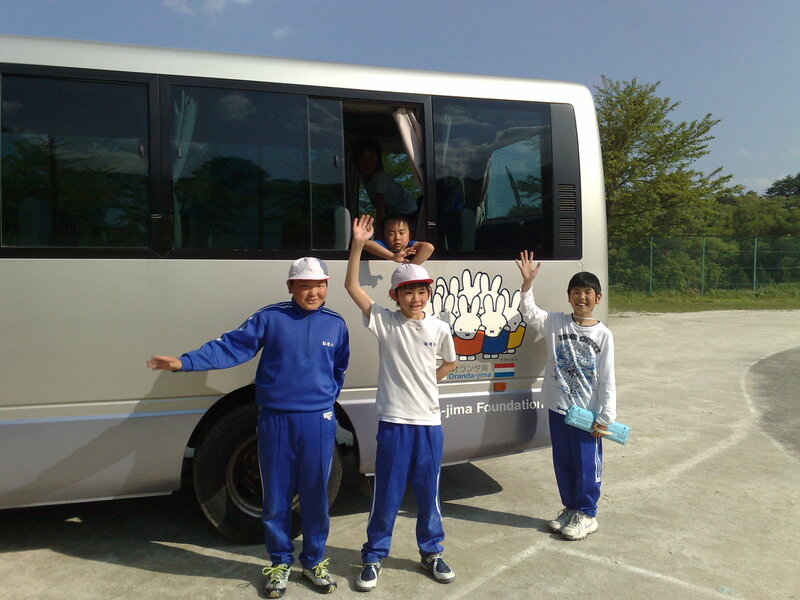 In the afternoon, they moved to Yamada, and been explained from Yamada Machi ward office aabout FURUSATO NOZEI donation system as well as the construction basic plan of the After School Club House for Funakoshi elementary school. 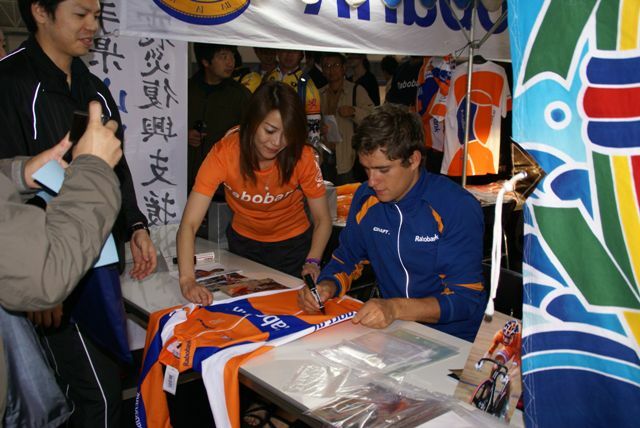 At the Truck Party held in Japan, Rabo bank members opened the charity sale activity at the “Truck Party”. Truck Party is the entertainment event originated in Europe. 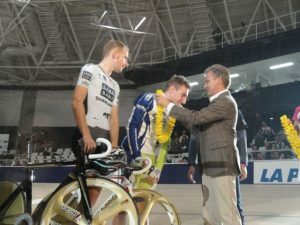 While bicycles racing in the truck, the party is held in the bank. 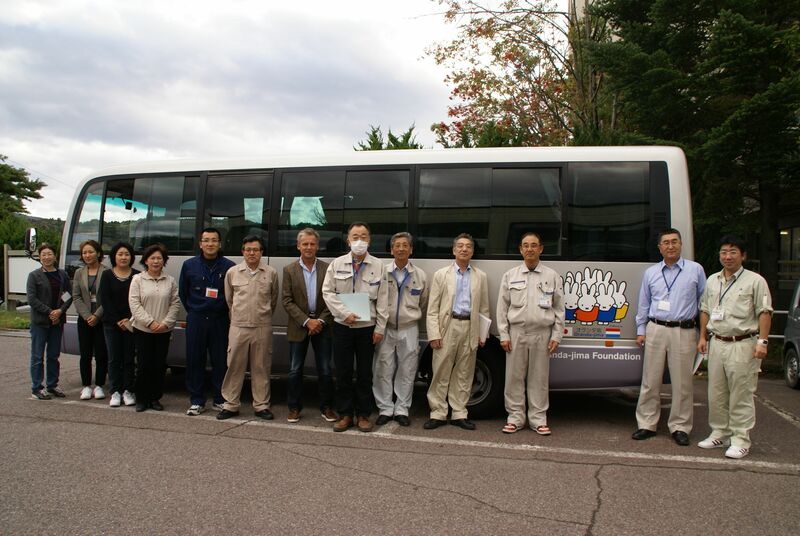 As Emergy Support in the post-quake chaos, the minibus was donated to Yamada Machi. 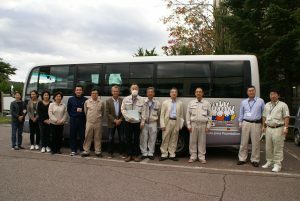 The mini bus was broght to Yamada Machi from Tokyo with Jan Remie, Makoto Harada, Kei Matsumoto from Rabobank, and Mr Matsuda of Taimatsu Car Option. Please read more on Miffy Bus Project page. 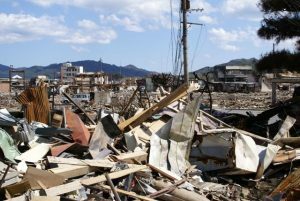 Under the circumstance of living in the temporary housing, it was the most important thing that we understand the requirement from the people in Yamada Machi of what they need most. Mr Numasaki, the mayor mentioned that without recovery of industry, the town could not be recovered. Mr Satodate, the health & welfare manager of the town mentioned the importance of rebuilding the after school club for Funakoshi elementary school is the very important issue fot he town. 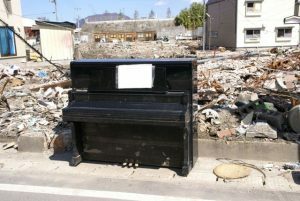 We made first visit to Yamada Machi after 1 and half months of the earthquake and tsunami hit those areas. Everything was complete destroyed, and disappeared. On our way to the town, we made courtesy visit to Mr Tasso, Governor of Iwate Prefecture. Then we met with Mr Numasaki, Mayor of Yamada Machi in Morioka while he was visiting Tsunami/earthquake victims at temporary houses.